But, I digress. There is a third category of person who attends community theater events. They come for the artistry of the show itself. They come to watch talented people do talented things for their edification and entertainment. These are the people that must be impressed if community theater is to survive and thrive. Fortunately, this third category of person will be impressed by Act 1 Theatre’s “The Complete Works of William Shakespeare (Abridged. ), which opened this weekend at Dukesbay Theatre in downtown Tacoma. Three talented actors lay it on the line, giving up body (once, literally) and soul to the artistic expression of comedy. That is what you will find if you choose to attend this show…and you should choose to attend this show. Brandon Brown, Tad Isaac and Jym Kinney play about 100 roles over the course of just over 90 minutes. Drama in the Hood lists them alphabetically, because there is no one star of “The Complete…(Abridged.) Instead, the troupe share the stage and the spotlight in equal measure. The result is inspired at times, but entertaining even when the inspiration falls short. Let’s face it, when there is a joke every 20 seconds for 1.5 hours, they won’t all hit. But, enough of them score to make this a fun night out, watching extraordinarily talented people do their thing. A company that puts on a show such as this one must decide how to handle the material, because the possibilities are endless. First time Director Chelsea Pedro had myriad choices to make in living out her vision and she chose one of the funny ones. We called it, “William Shakespeare, By Way of South Park.” There was enough naughty humor to satisfy fans of the controversial cartoon, and keep the audience in stitches. Mr. Brown is very familiar with the work of The Bard of Avon, and will be appearing in Measure for Measure later this year for the Primrose Players. In this production, he made his mark with a signature furrowing of the brow in response to the mayhem all around him. He was good throughout. Mr. Isaac attacked his multiple roles with the frenetic energy of a rabbit on steroids. That was an excellent choice, as it helped to carry the show to the hysteria that material calls for. His comic asides were some of the best parts of the show, as well. Mr. Kinney was willing to place himself in harm’s way more than once. He (comedically) brawled with his co-performers and then slipped and fell on prop water toward the end of the show. Gymnastics aside, though, his performance in a show with many pages of dialogue was spot-on and worthy of the Bard himself, at least when Will Shakespeare was in his cups and writing bawdy comedy for his own amusement. Dukesbay Theater hosts some of the best under-the-radar work in the area. The radar needs to hone in on the shows here. 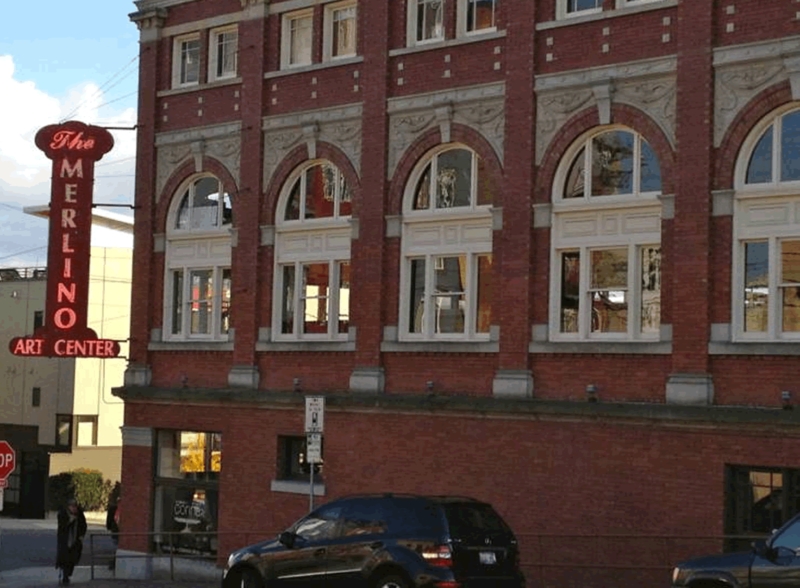 Between this show, Changing Scene Theatre Northwest, and the much-anticipated return of the Java Tacoma series, good things go on inside the Merlino Arts Center. Patrons who take the time to seek out “The Complete Works of William Shakespeare (Abridged)” will be well-rewarded. It’s a show that is both fun and indicative of the kind of talent that toils in South Sound theater. We take a back seat to no place west of Broadway itself, and the shows on this stage are a welcome part of the family. Take a chance on a show like this one. An evening not soon forgotten. 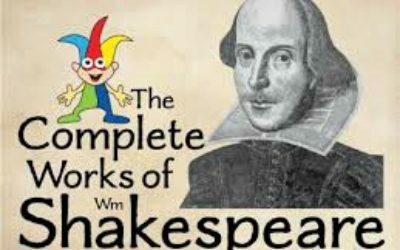 “The Complete Works of William Shakespeare (Abridged)” Act 1 Theatre at Dukesbay Theater, 508 6th Ave Suite 10, Tacoma, 98402, Fri-Sat 7 pm, Sat 2 pm through April 27. Tickets: www.brownpapertickets.com/event/3598929 Info: www.act1theatre.org, or P.O. Box 1531, Sumner, 98390.